Earners of the Logical Operations Certified Virtualization Professional (CVP) Level 1 badge are skilled VMware® practitioners capable of installing, configuring, deploying, managing, backing up, restoring, and securing virtual environments using vSphere 6.5 with ESXi and vCenter. Possess at least one year of experience in the operation or administration of virtualization solutions using vSphere 6.0 or 6.5 with ESXi and vCenter. 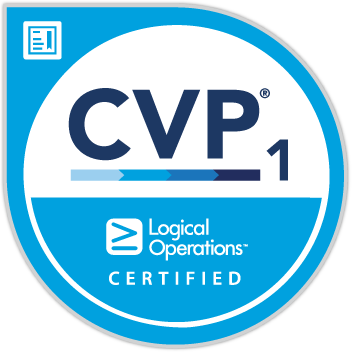 PASS the latest version of the Logical Operations Certified Virtualization Professional (CVP) Level 1 exam. Recommend that you complete the latest version of the VMware vSphere 6.5 with ESXi and vCenter course.